If you’ve been waiting for Destiny 2 to improve, there’s no better time to jump into the game than now. For a limited time on the PlayStation Store, you can get the Destiny 2: Forsaken Legendary Collection—which includes Destiny 2, Curse of Osiris, Warmind, and Forsaken in one bundle—for only $38.99. You can also get the Complete Collection, including the game’s Annual Pass for the next year’s worth of content, for only $79.99. Forsaken makes Destiny 2 the best it’s ever been, and being along for the ride of discovery and new events is well worth the price of entry. Since launching in September, Destiny 2 has had week after week of new revelations, fun events and surprising moments that continue to keep players engaged well beyond the release. 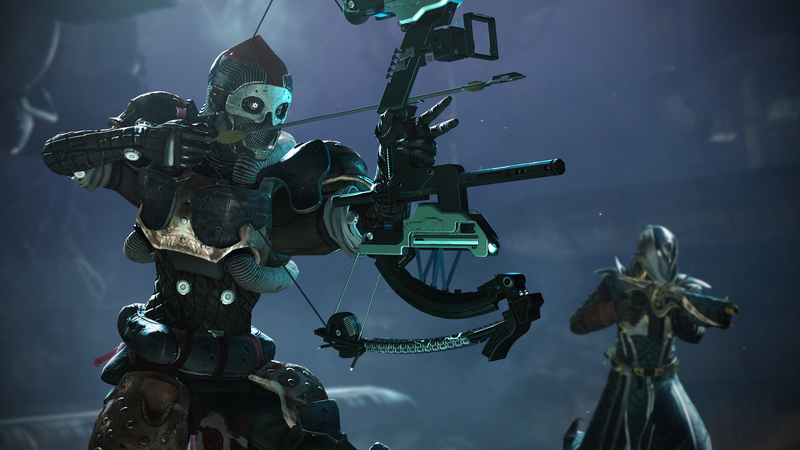 This week alone has a plethora of new things to do, including the start of the Festival of the Lost Halloween event, the return of Iron Banner, the third week of the Dreaming City curse cycle, and a triple Valor weekend in the Crucible. If all of that sounds like a bunch of gibberish to you, jumping into Destiny 2 now will answer a lot of the questions you have. In addition to the deals on the full package, the individual Forsaken expansion is currently selling for $33.99 for the standard edition and $71.99 for the digital deluxe edition that includes the Annual Pass for all of the upcoming year’s content drops and some in-game bonuses. Don’t forget that all versions of Forsaken now come packaged with both Curse of Osiris and Warmind, so if you got Destiny 2 free with PlayStation Plus last month, this is a great price to grab the expansion and continue to explore the world of Destiny. There are even more deals available right now on the PlayStation Store with the Sale of the Dead, which just went live this week. The PlayStation VR Celebration Sale is also still going on, celebrating the two-year anniversary of the headset.